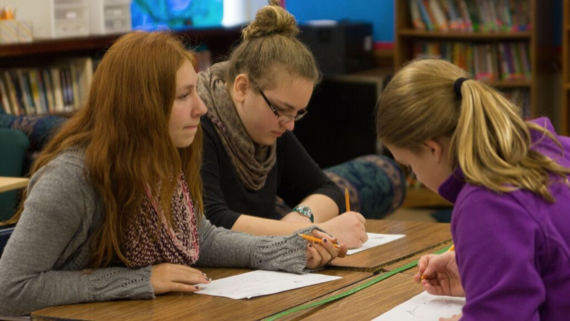 Our Knowledge Bowl program strives to develop memory recall skills, teamwork, self-confidence, and good sportsmanship. Teams work cooperatively to solve oral and written questions at invitational meets where they compete in three rounds of questions. They also have the opportunity to compete at the regional level against schools across southern Minnesota. Teams are made up of students in sixth through eighth grades.